Wrap around home extensions are prefect for really maximising the space available in your property. Large, impressive and great for turning your house into a welcoming family home, wrap around home extensions mean more room to spread out without the upheaval and cost of moving. 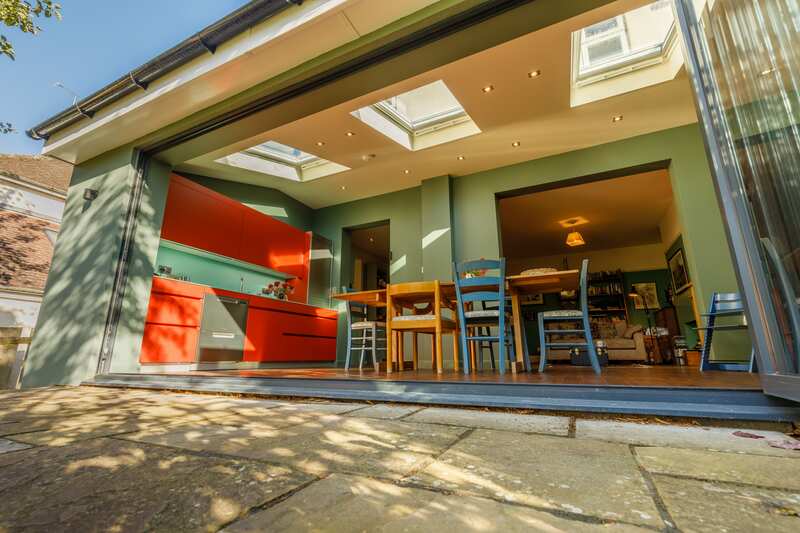 They are made up of both a side and rear extension to give an L-shaped space that wraps around your property so providing extra space on two sides. 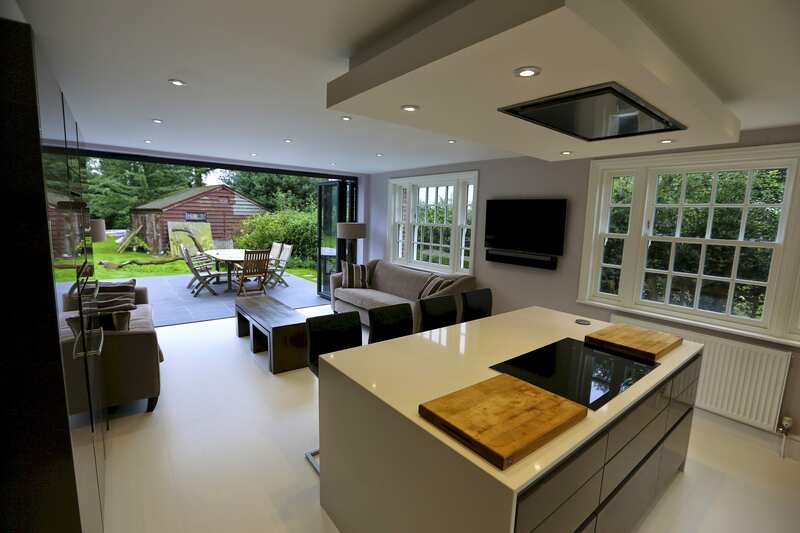 If more living space is top of your list, a wrap around home extension by R&B Builders could be just what you need. They work by taking a small piece of garden space whilst simultaneously using any under-utilised space at the side of your property so are great for using an area which is otherwise wasted. 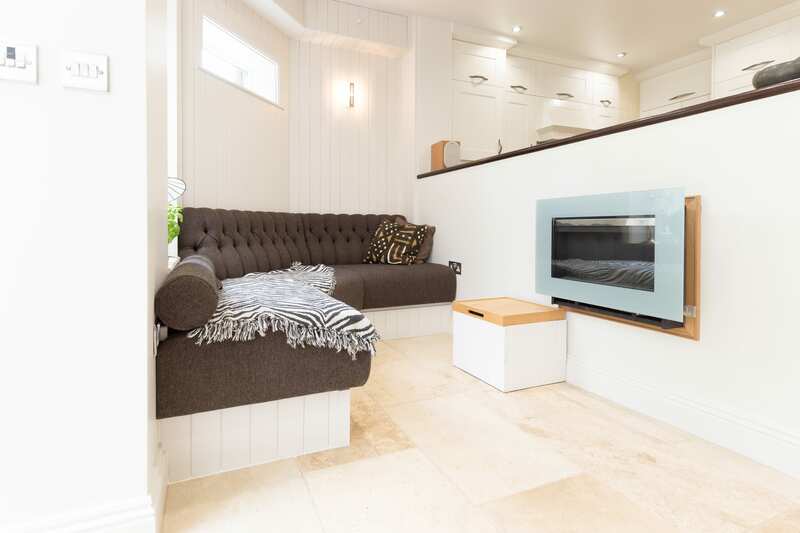 Ideal for family time as well as for socialising, relaxing and entertaining. Wrap around home extensions mean the chance to choose from an impressive range of window options to create a wonderfully light and airy space. 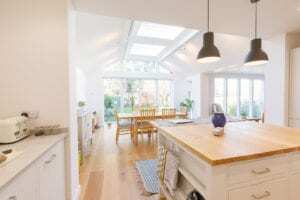 From sun tunnels and skylights to substantial bi-fold doors, there’s a multitude of ways your home extension can be filled with refreshing natural light. 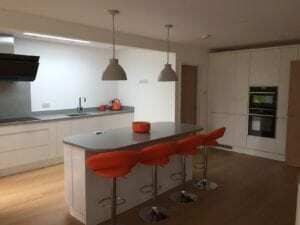 Additionally, you can design the lighting for your extension from an array of traditional and modern lighting styles like decorative light fittings and chic spotlights. 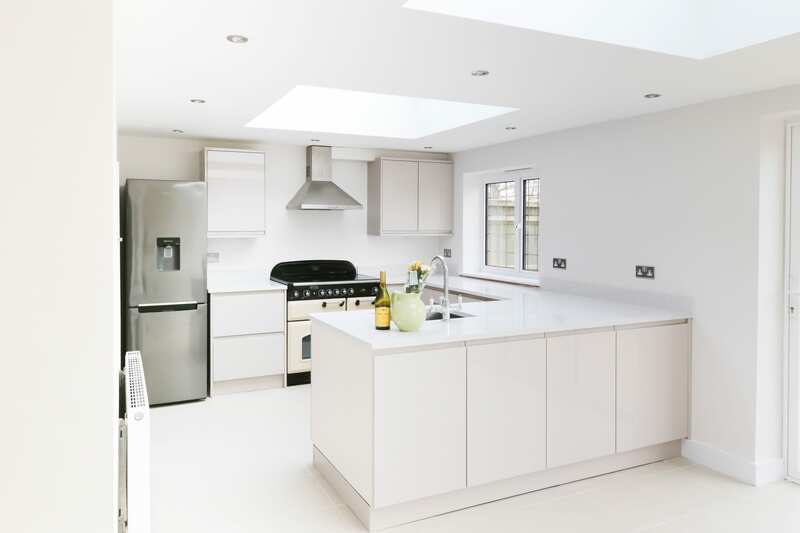 A wrap around home extension is a fantastic solution if your goal is to have a large open plan kitchen with substantial family space to cook and eat together. 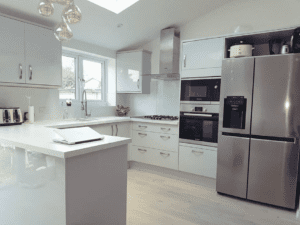 For something extra special you could even make your kitchen particularly high-spec by adding a breakfast bar, an island and built-in appliances. 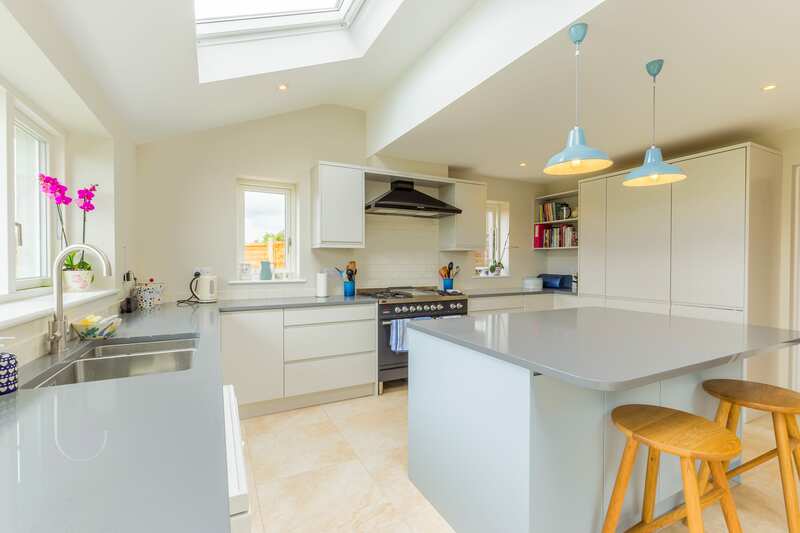 The kitchen then opens out on to a dining and living area with amazing views through your bi-fold doors across your garden. 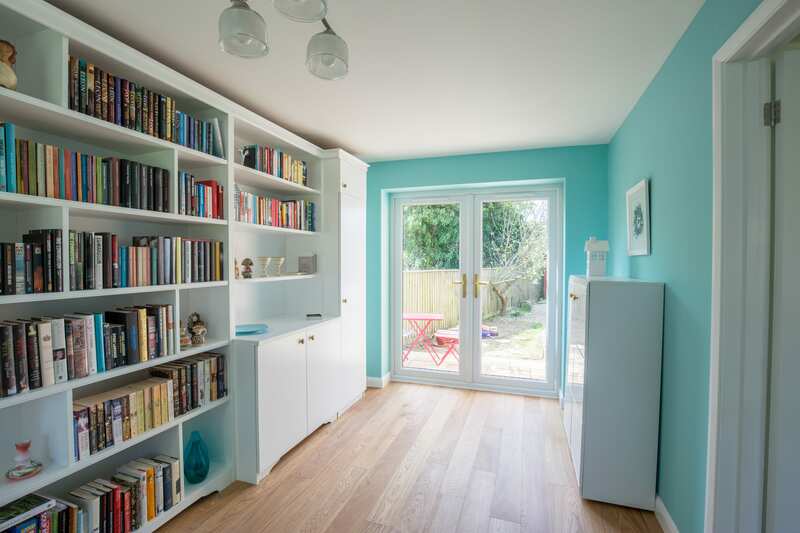 Wrap around extensions from R&B are naturally quite large so are perfect for making into extra rooms such as a toilet, utility room or walk-in storage cupboard too to maximise your property’s space. Before any kind of design work or building can take place, you need to make sure you have the correct planning permission in place, if needed. Whether you require planning permission or not depends on a wide range of factors but it’s essential to get it right. The good news is there’s plenty of information online on the Planning Portal website and of course here at R&B Builders we can help too. Ready to talk to us about your fantastic new extension and live in the Oxford or Abingdon areas? Contact R&B today to discuss your plans for your wrap around extension and start to make your dreams a reality.